For some inexplicable reason, the ministry said the shoes of Jadhav’s wife were not returned to her after the meeting and “it would caution against any mischievous intent in this regard”. NEW DELHI/SRINAGAR: For some inexplicable reason, the ministry said the shoes of Jadhav’s wife were not returned to her after the meeting and “it would caution against any mischievous intent in this regard”. 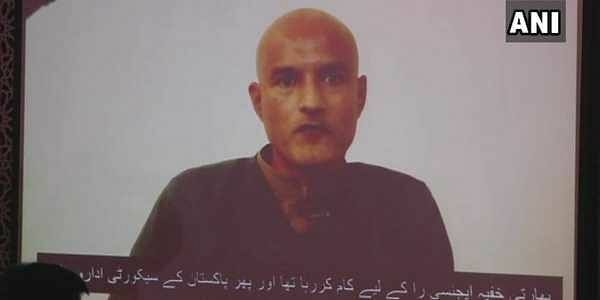 The meeting of the family with Jadhav took place after repeated requests by India. Jadhav was sitting behind a glass screen while his mother and wife were on the other side and they spoke over the intercom. “Prior to the meeting, the two governments were in touch through diplomatic channels to work out modalities and format. The MEA listed out seven points which Pakistan violated. “The manner in which the meeting was conducted and its aftermath were clearly an attempt to bolster a false and unsubstantiated narrative of Shri Jadhav’s alleged activities,” it said. Deputy High Commissioner J P Singh, who accompanied Jadhav’s family, was initially separated from his family members. “The meeting started without his presence and he could join only after pressing the matter with officials concerned. Even then, he was kept behind an additional partition that did not allow him access to the meeting as agreed,” it said. India said the Pakistani media was allowed on multiple occasions to approach the family members closely, harass and hector them and hurl false and motivated accusations on Jadhav.